Recall some of the most iconic scenes from Batman v Superman: Dawn of Justice! 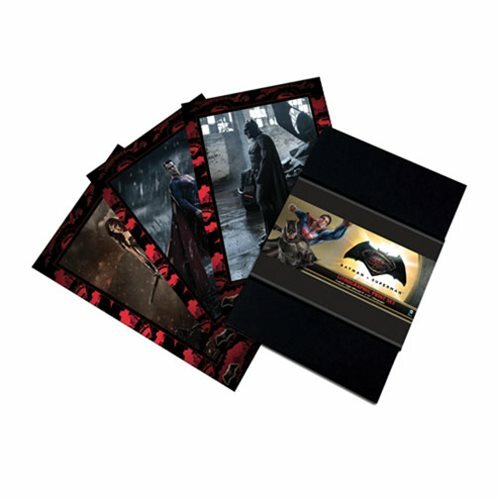 The prints in this Batman v Superman: Dawn of Justice Lithographic Print Set are all beautiful images from the film. You'll get a lithograph poster for Batman, Superman, Wonder Woman, and another with the Batman v Superman: Dawn of Justice movie logo! Each print measures 12-inches tall x 8-inches wide. Ages 13 and up.